During a Saturday session, the Washington State Senate overwhelmingly passed Senate Bill E3SSB 6353 which provides for automatic voter registration in Washington State. The Senate Bill passed by a vote of thirty-four to thirteen, with two senators abstaining, and further removes barriers to voting access for millions of Washington residents. Washington joins other Cascadian states such as Oregon in passing automatic voter registration, which was signed into law by Oregon Governor Kate Brown in 2015. Currently, nearly 20% of eligible voters in Washington State are not registered to vote. The bill would register U.S. citizens to vote when they apply for or renew an enhanced driver’s license if they are 18 years old or older, unless they specifically opt out. The bill was requested by Washington State Governor Jay Inslee, and has a partner bill in the House – 2SHB 2595, which is still awaiting a vote. Senate democrats voted yes, while senate republicans were split – with nine in support: John Braun, Joe Fain, Phil Fortunato, Brad Hawkins, Mark Miloscia, Steve O’Ban, Tim Sheldon, Judy Warnick, and Hans Zeiger. Welcome Front Page of Reddit! For all of you joining us here is an update and answers to some of your FAQ’s. In Washington State, jury duty is tied to having a drivers license or state ID card, rather than voter registration. Automatic voter registration will not change this. This bill does not require anyone to vote. Any person can choose to ‘opt out’. Washingtonians currently 18 or older by would be registered upon receiving or renewing an enhanced drivers license or state ID by default, or on their 18th birthday, of which they could opt out at any time. 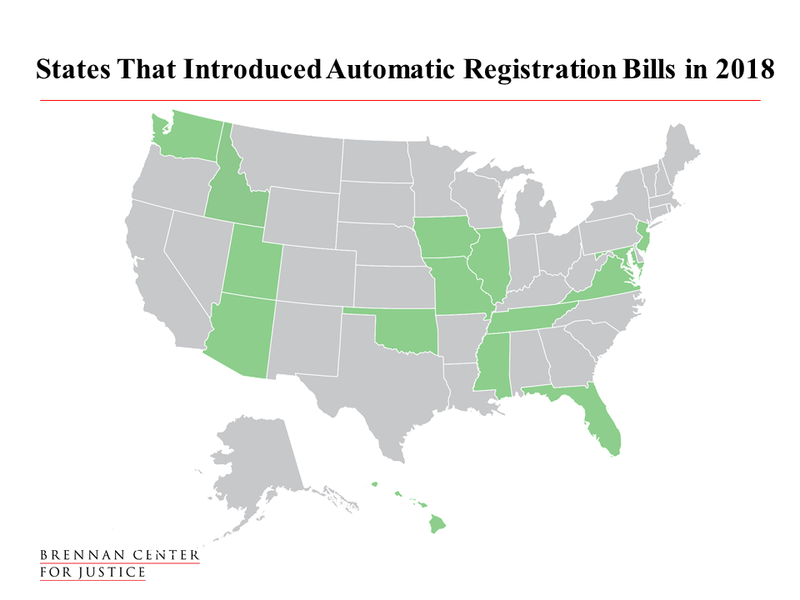 Automatic voter registration would only affect legal residents of Washington State. Oregon was the first state in the United States to pass automatic voter registration. Other than Oregon, currently, California, Colorado, Illinois, Georgia, West Virginia, Vermont and Rhode Island. 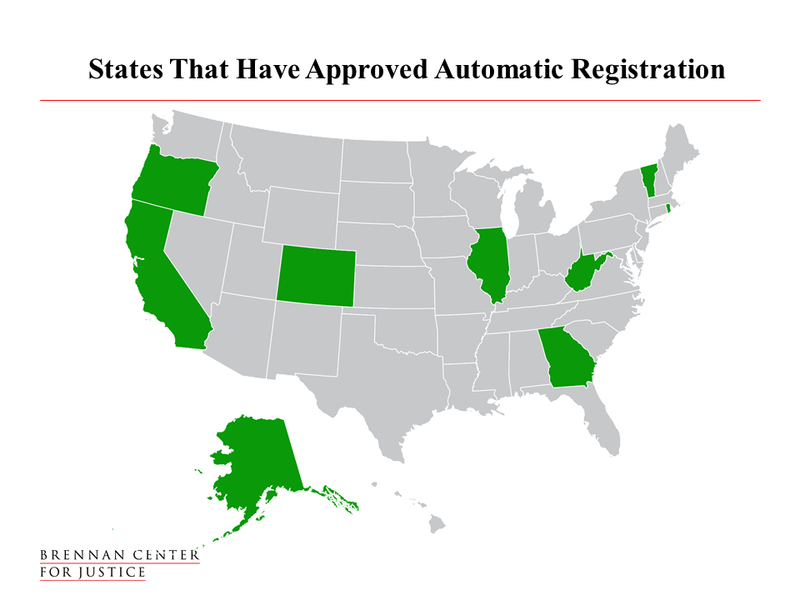 States that have introduced automatic voter registration in 2018 currently are Washington, Idaho, Utah, Arizona, Oklahoma, Iowa, Missouri, Illinois, Mississippi, Tennessee, Florida, Virginia, Maryland and New Jersey. Read more Cascadia related news in our Cascadia section here. Is this just for people who get enhanced driver’s licenses? If so, how common are those? Dont like this because Wash i tin State currently gives drivers licences to undoumented aliens without asking their legal status. With motor voter registration, how can the state ensure non citizens aren’t being registered to vote? Because it’s only for those getting an enhanced drivers license, which requires you to prove your citizenship. The EDL is used for border crossing into Canada and is like a US Passport. They’ve done this in other states without any such problems.